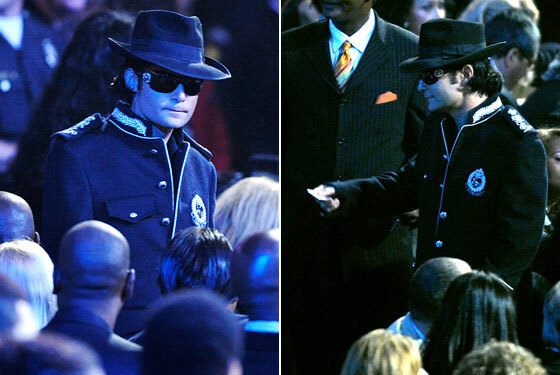 So How Come Justin Timberlake Was a No-show at Michael Jackson’s Funeral? We wish we knew! As we sat back last night, reviewing the events of yesterday, one of the things that began to gnaw at us was the list of notable no-shows. While we would’ve loved to have seen longtime MJ confidants Diana Ross and Elizabeth Taylor at the ceremony, we respect their decision not to attend the memorial service. However, we have heard nary a peep from Justin Timberlake, whom MTV confirmed as part of the lineup for the Michael Jackson tribute as recently as 10:19 a.m. yesterday. So why wasn’t he there? We can safely assume that it wasn’t an issue related to travel delays, as he and his lady friend, Jessica Biel, were spotted out on a double date with Tom Brady and Gisele Bündchen in Los Angeles over the weekend. And considering that the ceremony ran pretty long, we’re also fairly certain that he wasn’t cut for time reasons. So until we find out for sure, we’re just going to assume it had something to do with an innate fear of being upstaged by Corey Feldman.